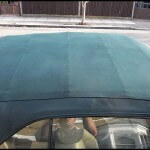 Had enough of your soft top turning green and dull? 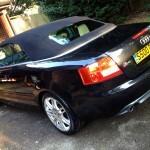 Want it to look fresh while protecting it again? 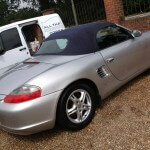 Our soft top cleaning service can do all that and help you enjoy owning a soft top again! Our soft top cleaning service will leave your hood clean as new and protected against the elements, all while restoring your love for your convertible! 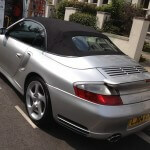 Call us for our professional soft top cleaning service in Surrey and love looking at your convertible again! 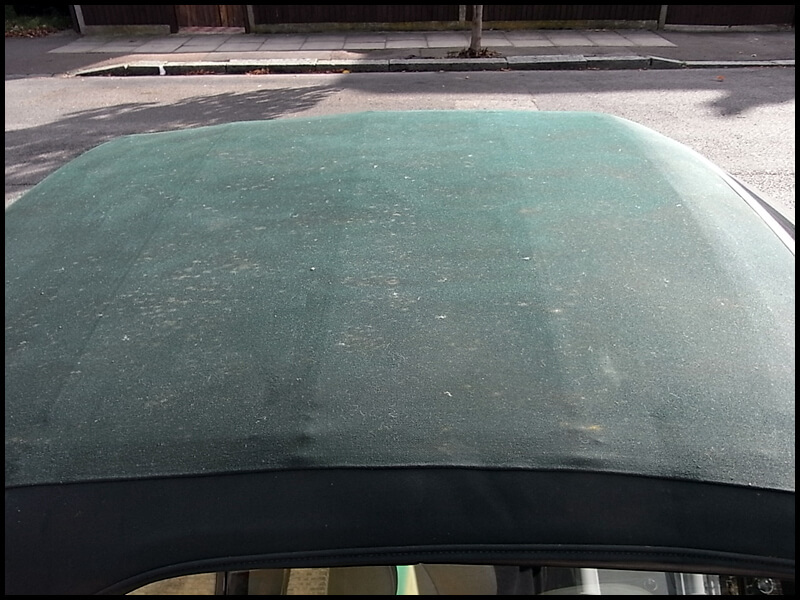 Maintaining your soft top is just as important as the paint on your car but usually gets neglected turning green and dull. We use heated water and biological cleaners to remove all dirt, algae and stains while being safe to all trim and can be carried out multiple times without any degradation. 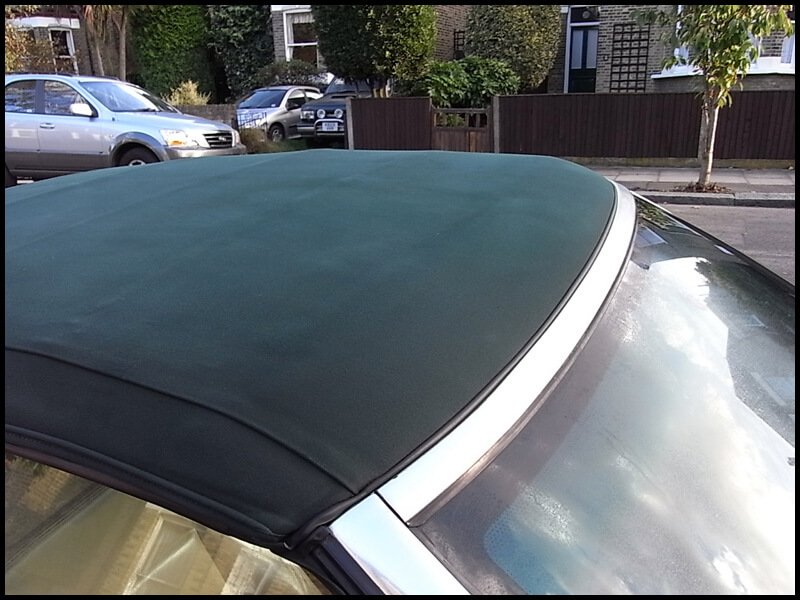 All cleaning is carried out by hand for the best and safest cleaning for your soft top to ensure the utmost care is taken on the most delicate of soft tops. 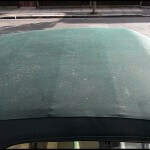 The dirty solution is then flushed away with heated water, roof is checked & cleaning repeated until your soft top roof is left as clean as possible. 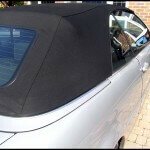 To finish, your roof is treated with a premium soft top protector designed to reproof, protect & preserve the appearance of your soft top hood and make owning a convertible a pleasure again! Excessively dirty, neglected or extra large roofs may incur additional charges. Use the form below to enquire online or call us on 01483 346344 for friendly advice. 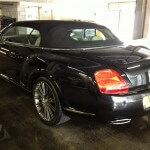 If you have a moment please take a look at our professional soft top cleaning archive to see our recent work. Book Your Soft Top Treatment Today! 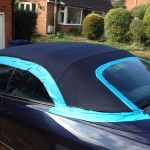 Ready to get your soft top looking like new again? Get an online quote today!